Home Entertainment Globe Telecom Smart Communication Sun Cellular technology Is it Possible to Regulate and Make Cheaper & Faster Internet Services in Philippines? Is it Possible to Regulate and Make Cheaper & Faster Internet Services in Philippines? National Telecommunications Commission is now thinking to appeal to the Congress to consider to study laws that would regulate and might make cheaper and faster internet services in Philippines. In the Kapuso Network’s news show ‘State of the Nation’, JP Soriano reported that Philippines is on of the countries with the most expensive, yet the slowest internet service. According to NTC Director Edgardo Cabario, if internet service would be considered as a basic need, the government will be forced to spend and invest for it to be able to reach all the citizens. All are entitled for the right to have the basic needs. Akamai Technologies had released data indicating that the internet speed in the Philippines is the 108th among the other countries in the world, and ranking as the 12th country in ASIA having 2.5 MB per second. 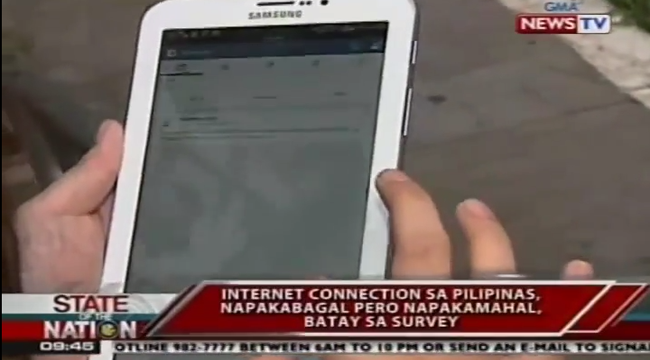 Furthermore, GMA News also cited a survey showing that the Philippine’s internet service cost is very high. In their cited industry sources, 50 MBPS in USA costs $50 a month (roughly around Php 2,150). In Philippines 5 MBPS amounts to a staggering Php2,000 a month. Earlier than this, internet users had voiced out their concern that though they are paying the amount required by telecommunication companies, the internet service they are receiving is very slow. Internet law expert JJ Disini explained that there could be a way for the government to mandate the internet service providers to improve the situation, make the internet faster and cheaper. There are at least eight million Internet subscribers in the country as of 2013 excluding the mobile users. It was September 2014 when Department of Justice issued an advisory telling telecommunication business firms to make their advertisements transparency.The internet Service providers (ISPs) lure the consumers with affordable prices even though the internet connection speed provided was in reality slower than advertised. The telcos uses a lot of advertisement mediums such as posters, radios, TVs and web posts advertising the maximum speed level of the internet connection that they could provided, using the phrase ‘up to ---mbps’, leading the subscribers to believe that they would actually have such internet speed, when in contrary, they get the opposite.